aluminum alloy is heavier then magnesium . Zinc die Casting performance is good, can cast complex, thin wall precision,surface smooth shape and parts. zinc is heaviest materail ,so suggest to cast small part . Aluminum alloy is divided into two categories: casting aluminum alloy, in the casting state of the use; deformation of aluminum alloy, can withstand pressure processing, mechanical properties than cast state. Aluminum alloy materials can be processed into various shapes and specifications. Mainly used in the manufacture of aviation equipment, daily necessities, building doors and windows, etc..
Aluminum alloy can be divided into deformed aluminum alloy and cast aluminum alloy. cast aluminum alloy can be divided into non heat treated aluminum alloy and heat treated aluminum alloy. The non heat treatment enhanced mechanical properties can not be improved by heat treatment, only through the cold processing deformation to achieve strengthening, it mainly includes high pure aluminum, industrial high purity aluminum, industrial pure aluminum and rust proof aluminum, etc.. Heat strengthened Aluminum Alloy can improve mechanical properties by quenching and aging heat treatment, it can be divided into hard aluminum, aluminum forging, aluminum and special Aluminum Alloy etc.. The density of magnesium is small and easy to burn, which is determined by its physical and chemical properties. At 20 degrees, the density of magnesium metal is 1.738g/cm3, the density of liquid metal magnesium is 1.58g/cm3; at standard atmospheric pressure, the melting point of magnesium metal is (650 + 1), the boiling point is 1090. When heated in the air, the magnesium is burning at 632 degrees Celsius to 635 degrees Celsius. So the preparation of magnesium and its alloy smelting process are more complicated. Industrial magnesium purity can reach 99.9%, but pure magnesium cannot be used as structural material, magnesium alloy of aluminum and zinc, lithium, manganese, zirconium and rare earth elements formed in pure magnesium with high strength, currently the most widely used is magnesium alloy, followed by magnesium manganese alloy and mg Zn Zr alloy. Mainly used in aviation, aerospace, transportation, chemical industry, rockets and other industrial sectors. Light weight— The proportion of magnesium is only 1.8G/CM3, the proportion of aluminum alloy is 2.7G/CM3, the magnesium alloy is lighter than the aluminum alloy 30%, the steel is 80% lighter than the steel. So magnesium alloy has become an ideal material for parts manufacturing in automotive and portable electronic products. Strength of strength—-Magnesium alloys in metal and plastic engineering materials, with excellent strength / weight ratio. Yield strength 160MPa, tensile strength 240MPa. 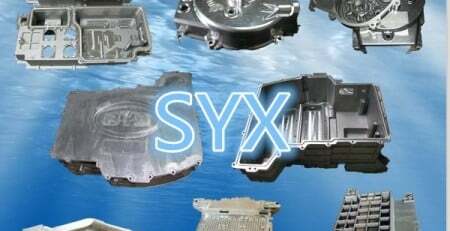 Die casting property —-Under the condition of keeping good structure, the magnesium alloy is allowed to reach the minimum wall thickness of 0.6mm, which is not achieved by the same strength. The die casting property of aluminum alloy is more than 1.2-1.5mm, and can be compared with the magnesium alloy. Magnesium alloy is easy to die casting, suitable for mass production (production speed of up to 1.5 times the speed of aluminum). In addition, the wear of the magnesium alloy die is lower than that of the aluminum alloy. The main reason is the high viscosity of aluminum. 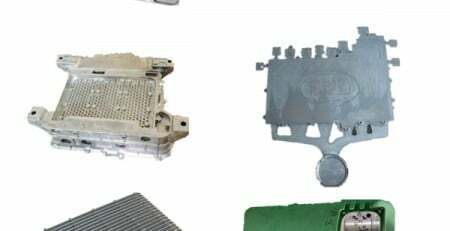 The shock —-Magnesium has excellent damping performance, can absorb vibration and noise, and can be used as a device casing to reduce noise transmission, prevent shock and prevent damage to the depression. As a LCD or LED is a good back. The rigid—-The rigidity of magnesium is 2 times of that of aluminum and is higher than most of the plastic. Magnesium has good resistance to stress. 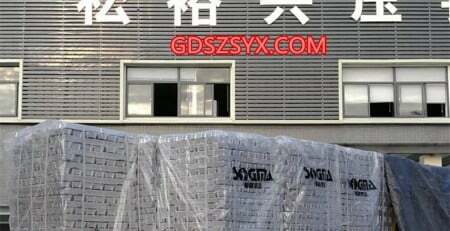 The high electromagnetic interference shielding—-Magnesium alloy has a good barrier electromagnetic wave function, suitable for the production of electronic products. The good cutting performance—Magnesium has a better machinability than aluminum and zinc, making it more likely to cut metal materials. Light weight—-The proportion of magnesium alloy in the alloy belongs to the light of all structures, it accounted for 68% of the Aluminum Alloy, zinc alloy steel 27%, 23%, in addition to its 3C product shell, internal structure, or a car, airplane and other parts of the excellent material. The strength and stiffness —-The specific strength of magnesium alloys is significantly higher than that of aluminum alloy and steel, and the ratio of stiffness is equal to that of aluminum alloy and steel, which is much higher than that of engineering plastics, which is 10 times as much as that of general plastics. Good vibration resistance —Under the same load, the vibration reduction is 100 times of aluminum, 300 ~ 500 times of the titanium alloy. The good electromagnetic shielding —– 3C products of the shell (mobile phones and computers) to be able to provide superior electromagnetic protection, while the magnesium alloy shell can absorb more than 100dB of the frequency of electromagnetic interference. The good heat dissipation —–Generally, the thermal conductivity of the metal is hundreds of times, and the heat conductivity of magnesium alloy is slightly lower than that of aluminum alloy and copper alloy, which is much higher than that of titanium alloy, and the heat is close to that of water. The stability of the provision of resources —-Magnesium reserves in the earth’s crust in the eighth place, most of the raw materials from the sea refining, so it is stable and full of resources. Due to the extremely high filling speed and solidification rate, it is easy to produce the involved pores, which is very important for the treatment of the rubber, the exhaust and the cold. Commonly used for electroplating zinc base alloy material of the brand is 4-1 ZnAl, composition (%): Al 3.5 ~ 4.9, Cu 0.75 ~ 1.25, Mg 0.03 ~ 0.08, the margin is Zn.